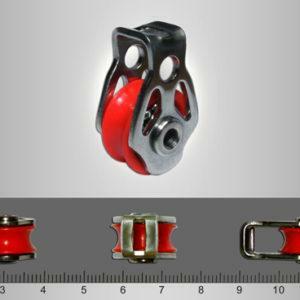 HIKE Mountain Harness - Apco Aviation Ltd.
View basket “43107B: Air Extreme Ball bearing Pulleys (1 pcs)” has been added to your basket. 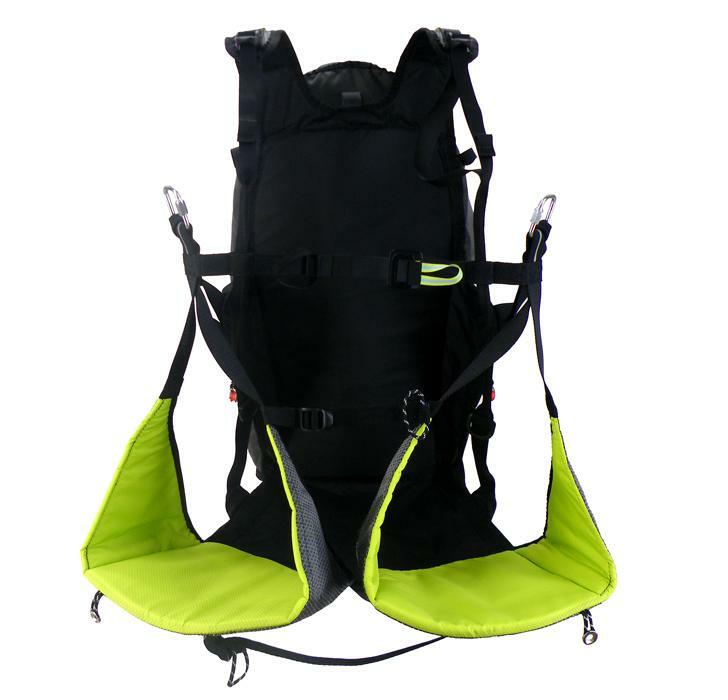 The Hike Harness is EN certified (EN1651:1999, EN12491:2015) when used in conjunction with the specific optional airbag from Apco (Product Code: 47035). 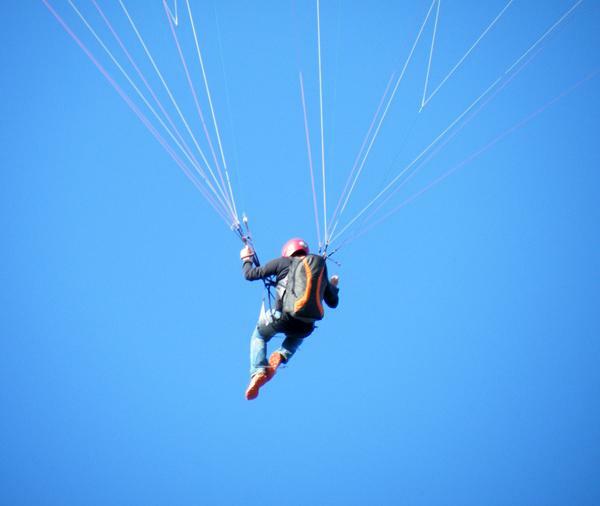 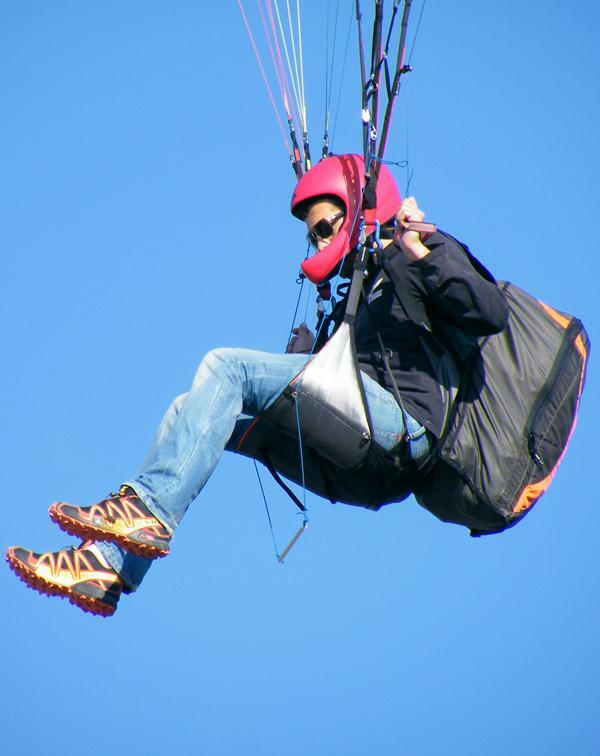 The HIKE has emergency parachute shoulder attachment points, and a variety of external reserve containers can be mounted on the harness. 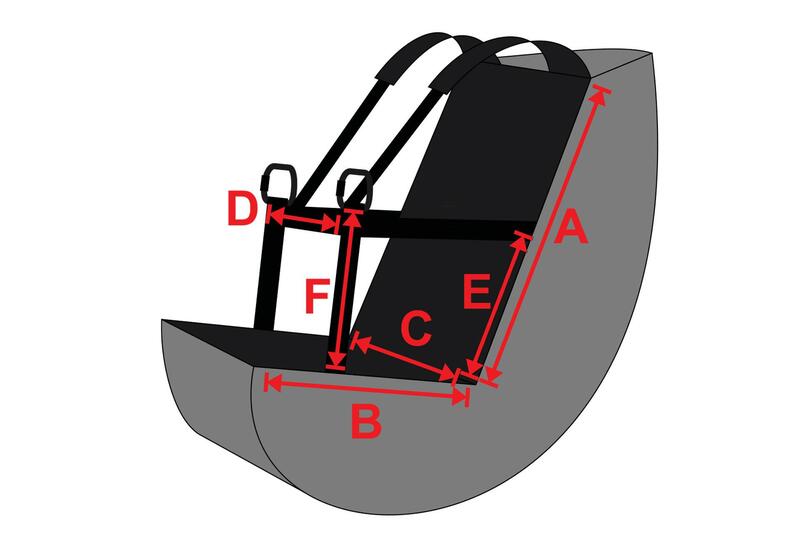 In addition, a optional Airbag can be fitted below the seat. 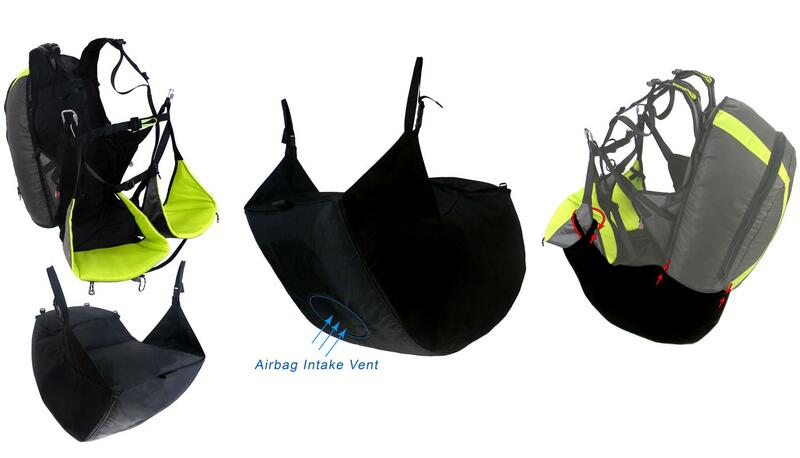 AirBagThe airbag is a separate unit to be ordered separately and can be attached to every HIKE harness. 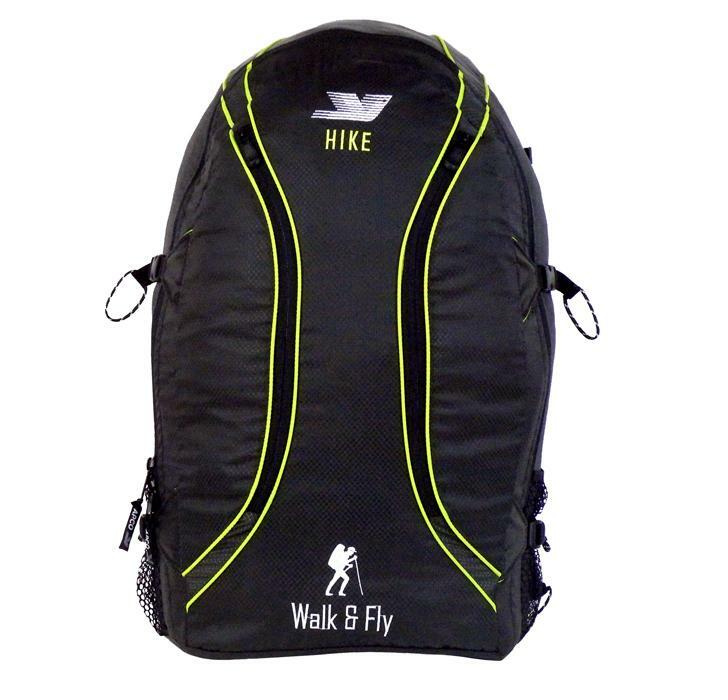 It is a simple, light and inexpensive masterpiece – will be appreciated by every pilot/hiker. 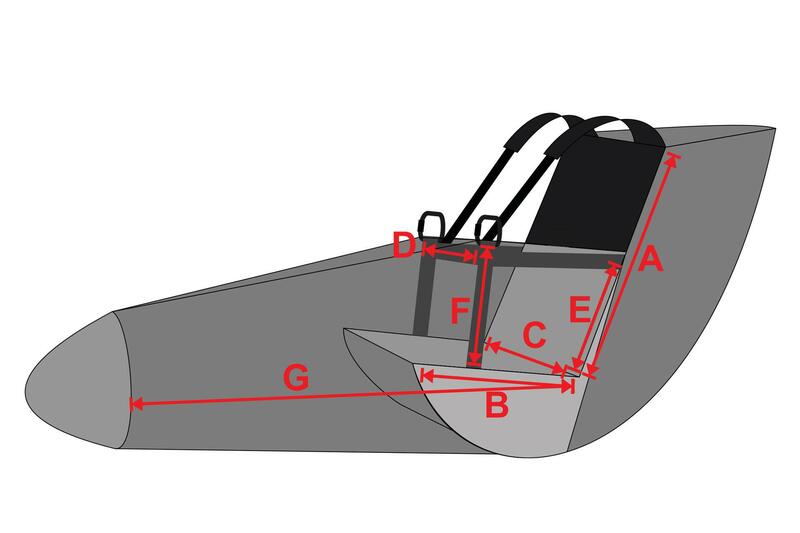 Quick and simple attachment (see photo – red arrows indicate attachment points). 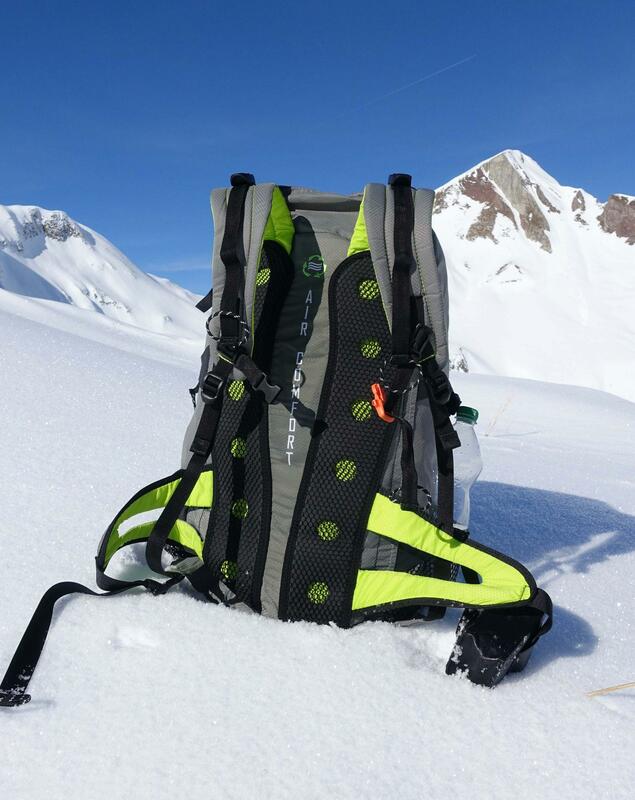 How to fit the rescue on the Hike? 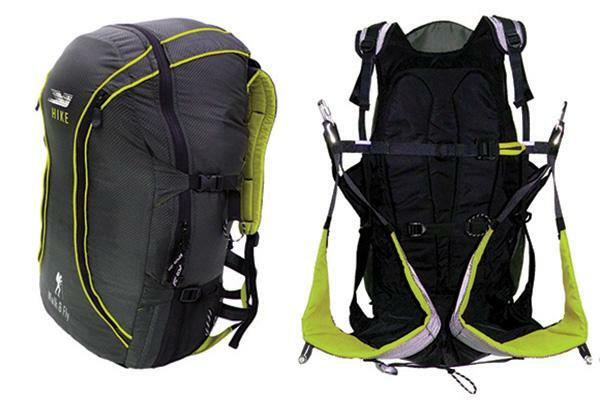 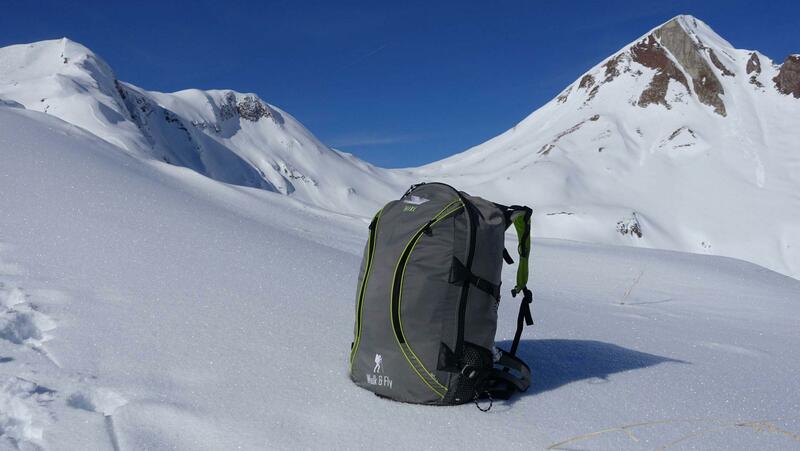 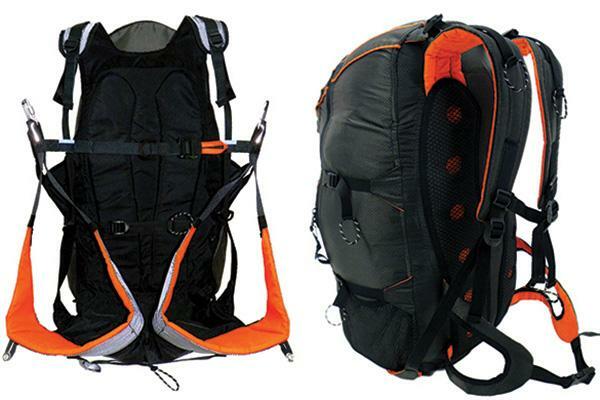 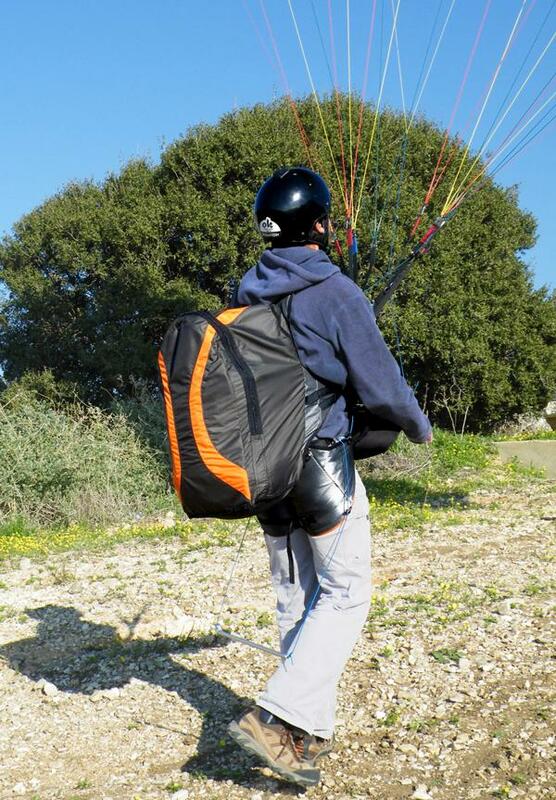 In order to connect parachute to the Hike you need an external container – either side or front container (For this harness usually take 81155SLT ). 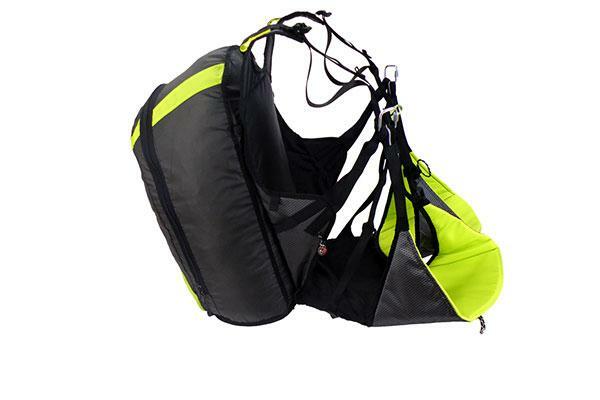 The Reserve should be connected to the intended shoulder attachment points. 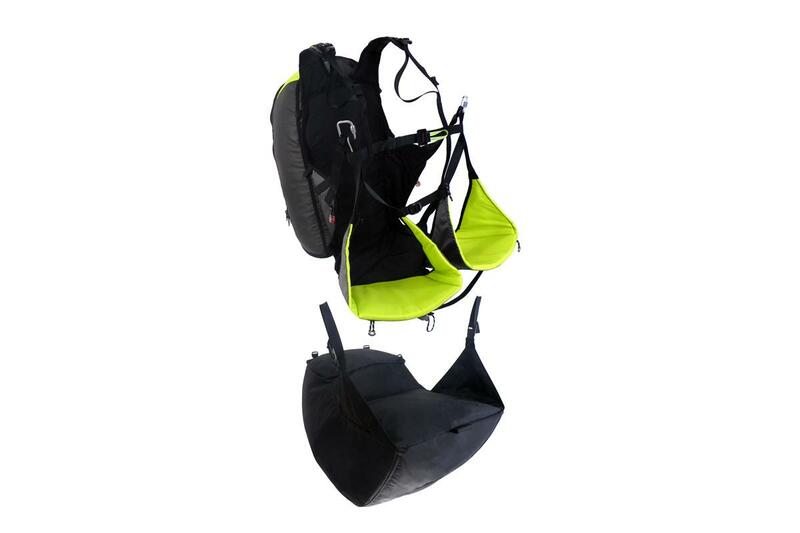 The harness has Velcro Leads for routing the bridle up to the shoulder attachments. 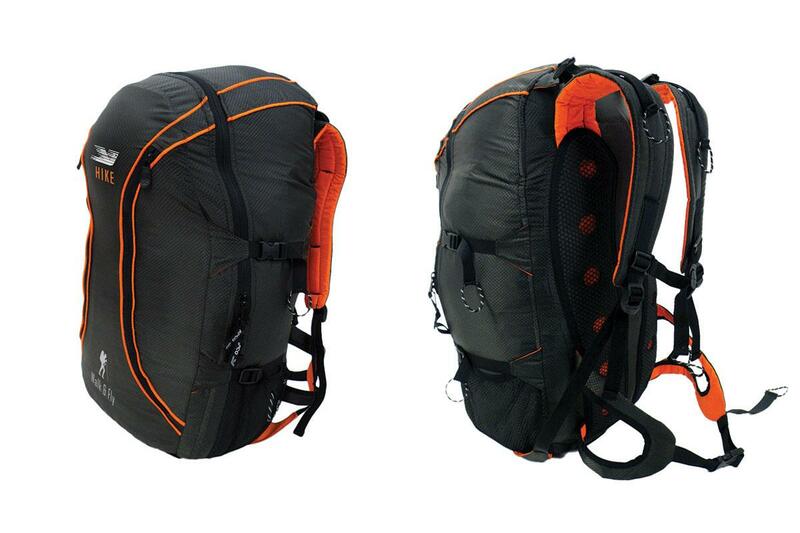 The container should be placed wherever it is convenient for you on the front or on the side. 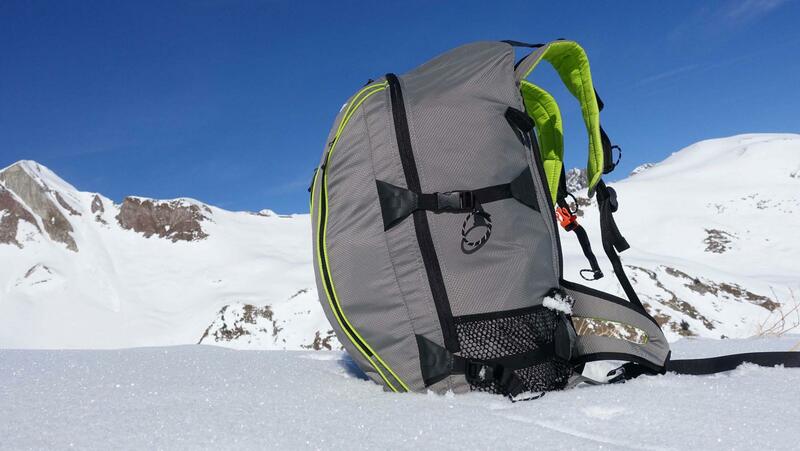 What is the bag volume? 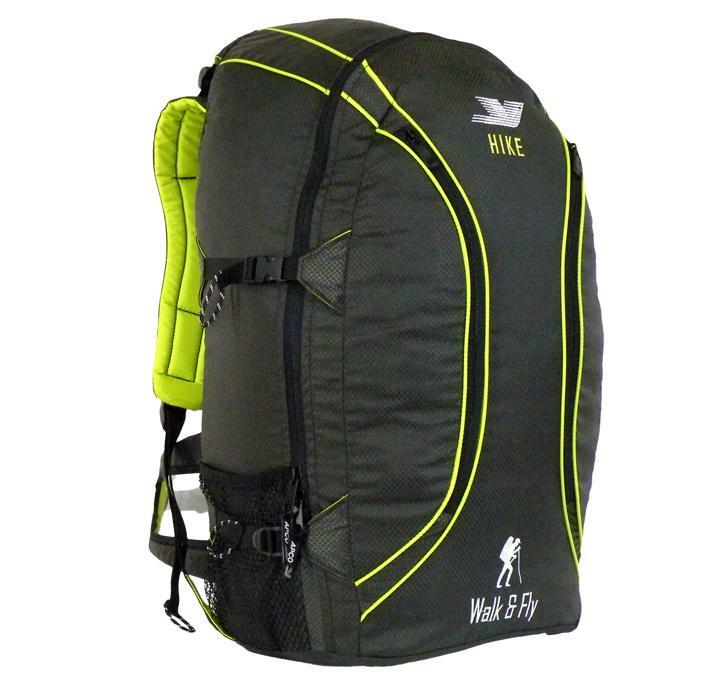 The hike Bag is approximately 55 [Ltr]. 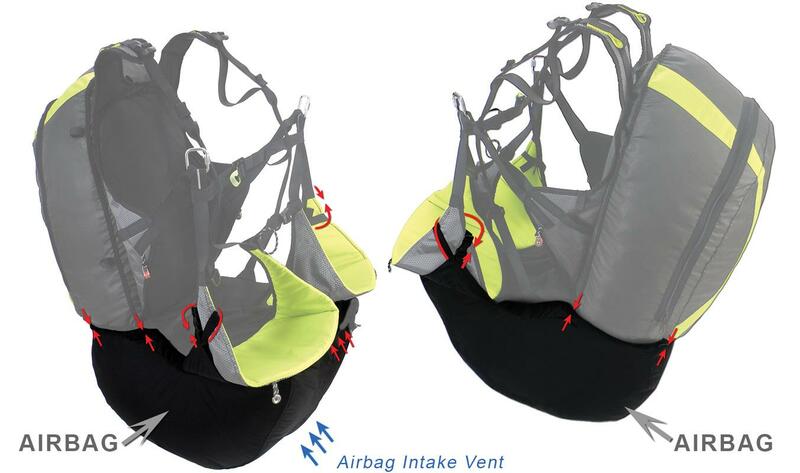 AIRBAG for HIKE harness ::Code 47035:: it is a separate unit and can be attached to every HIKE harness.